Our pets are a part of our families. When we hire babysitters, we make sure we have someone completely trustworthy, reliable, caring and responsible to watch our children. Choosing the right pet sitter is just as important of a decision as choosing the right babysitter. While we take pride in taking the best care of the pets we watch, unfortunately, we’ve heard stories of some bad pet sitters before from other companies that we don’t want to happen to anyone else. Read these signs of a bad pet sitter below to hopefully avoid these problems in the future. Oftentimes, when an animal becomes stressed, they can become hostile, shy or exhibit altered behavior. In particular, if a person has been abusive to the pet, your cat or dog may lash out at the perpetrator or become unusually withdrawn around them. If you return from a trip and notice your pet is acting unusual, especially around the sitter, it might be time to look for a different pet caretaker. 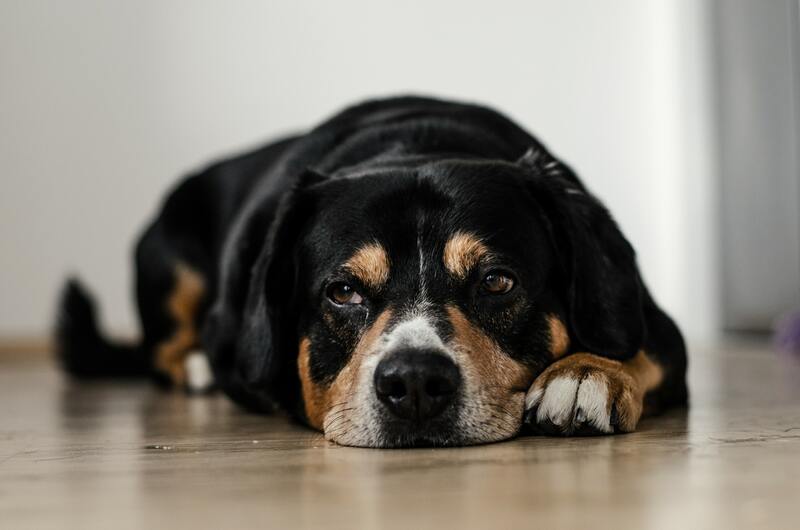 Of course, your dog or cat will miss you while you’re gone and may be stressed when you leave, but if the behavior is new, it could be a cause for concern. Ask yourself this question: Have you left your dog alone before? If you have and there were no behavior changes, it may be the sitter. If you haven’t, your pet could have separation anxiety. The most important job a pet sitter has is keeping your pet safe and compassionately caring for them. If the sitter fails to administer medication, leaves dried, crusty food in the dog bowl or avoids refilling the water bowl in a timely manner, it’s time to say goodbye. Your pet’s health is a top priority. If the food bowl is not regularly cleaned and replenished with new food, or if you notice your pet’s medication was not given, who’s to say the sitter can be trusted with other tasks? Is your pet potty trained? If so, when you get back from your trip, you should expect to see an accident-free home. If your pet has gone to the bathroom inside, that could be an indication the pet sitter is not letting Fido out as often as he should. What about your cat? If the litter box has not been cleaned recently, your cat may resort to using your home as his bathroom. Of course, if there were an accident, you should expect that your pet sitter would be up front and let you know. Communication is key. We truly hope this one never, ever happens to anyone. If you leave your pet with a sitter and Princess comes home with unexplained injuries, that’s a huge red flag. Are there minor cuts anywhere, swelling, limping? Maybe your dog just got scratched while playing in the backyard, but it’s better to ask questions and address any concerns. You don’t want your pet inside for too long, only to have accidents in the house, but you also don’t want your pet neglected and left outside all day either. Signs that your dog may have been left in the backyard for an extended period of time include holes from digging or plants that have been demolished. If your pet doesn’t typically dig, this could be a cause for concern. If the pet sitter can’t respect your property, I wouldn’t trust them with your pet, either. Signs of a lack of respect for your property may include moved items, brand new messes in your house, an empty fridge or pantry that was once full, and even missing items. If your things are not being looked after well, most likely your pet isn’t being looked after well either. We hope you were able to learn signs of a bad pet sitter so that you can avoid problems like these in the future. Here at Cane Bay, our love for animals is what drives our compassionate care for them. We take pride in being compassionate, responsible, knowledgeable and caring pet sitters for your pet. With Memorial Day just around the corner, if you are looking for a pet sitter in the Summerville, South Carolina area, give Cane Bay a call at (843) 879-0822. We would be honored to have the chance to care for your pet.